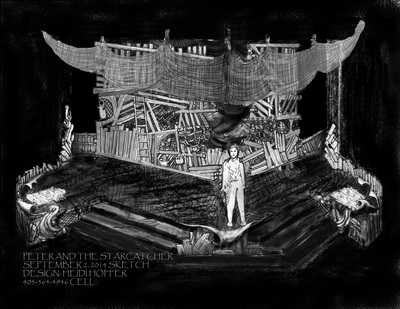 Peter and the Starcatcher Designed by Heidi Hoffer. This is the Stage Right ship's wall sketch. 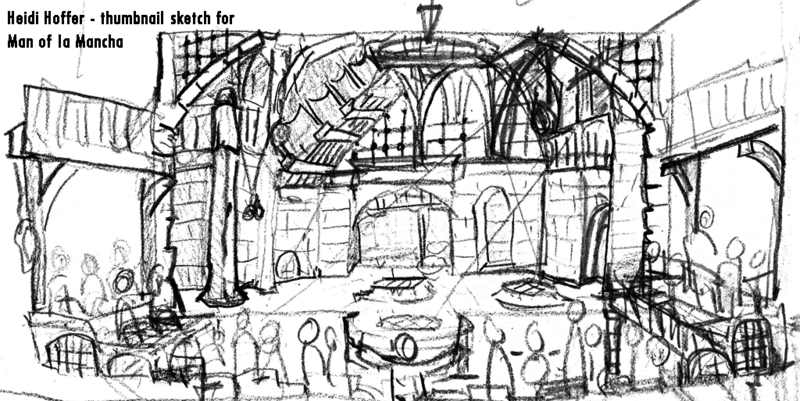 Edwardian toys, painted postcards, 17th and 18th century maps, shipwrecks and star stuff inspired the flavor of design. 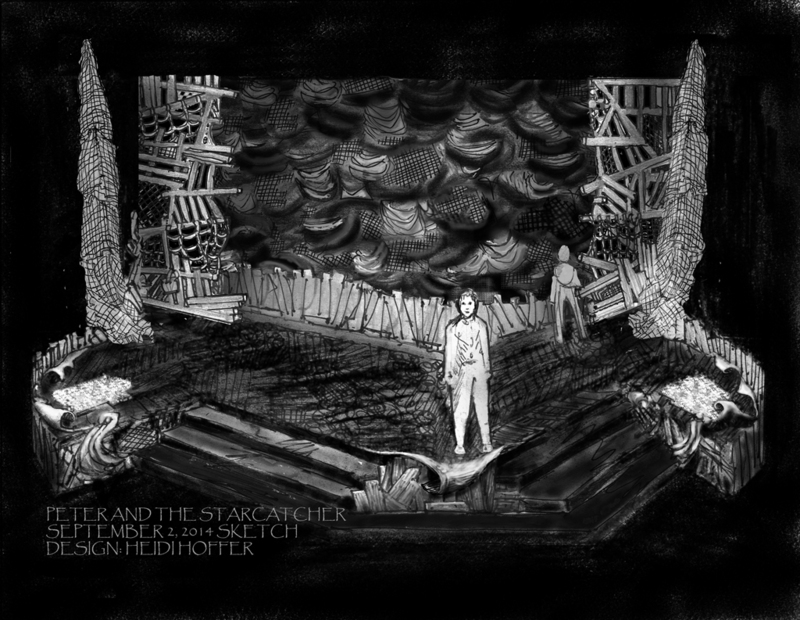 Ensemble work with props and scenery as tools for the imagination brought the design together as a shape-shifting environment in which to tell the story.